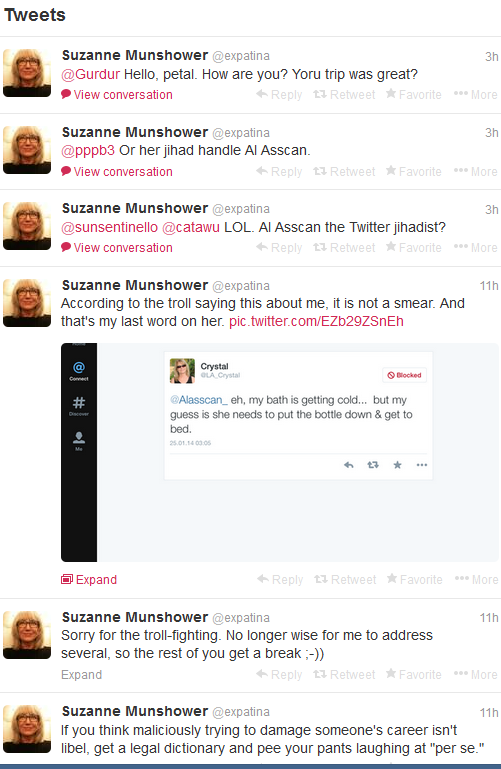 Suzanne Munshower calls Liberal Activist "jihadist"
Re: Suzanne Munshower calls Liberal Activist "jihadist"
For the record, @Alasscan_ doesn't tweet Suzanne or her cronies yet they decided to attack her yesterday. 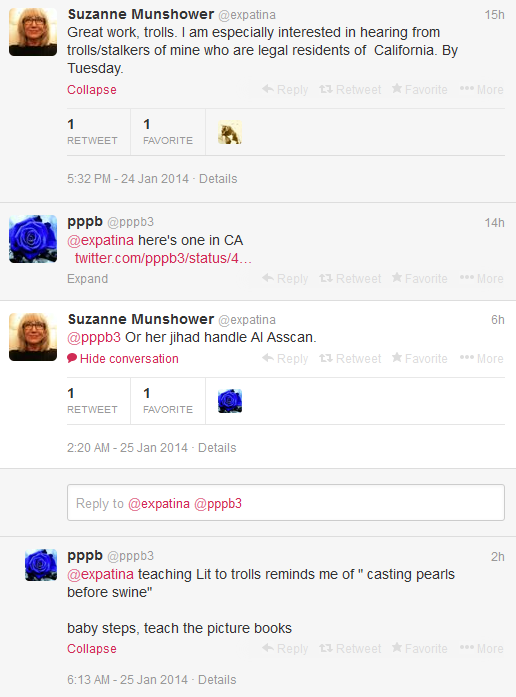 The tweet Suzanne refers to in her subtweet shown in the last screen capture is below. I stand by what I said. Lorraine should really watch what she says. Despite what she thinks, Twitter is not private, subtweeting is abusive and references to Arabic names and jihad are in poor taste. 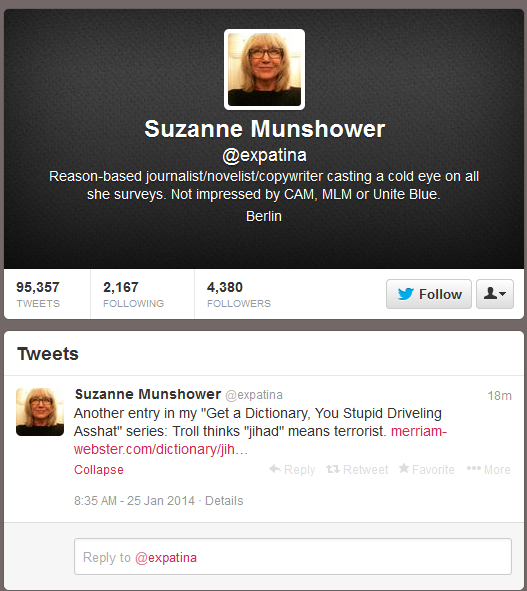 Expatina call her name-calling it "mirth."